vShare is a well-know third-party app store dedicated to provide download for those cracked iOS apps, even if the device not been jailbroken. vShare for iOS 9.3 now available for download. Hipstore for iOS 9.3 also available for those unjailbroken iPhone and iPad, which is the best alternative for vShare, also allows you to download and install paid apps for free. 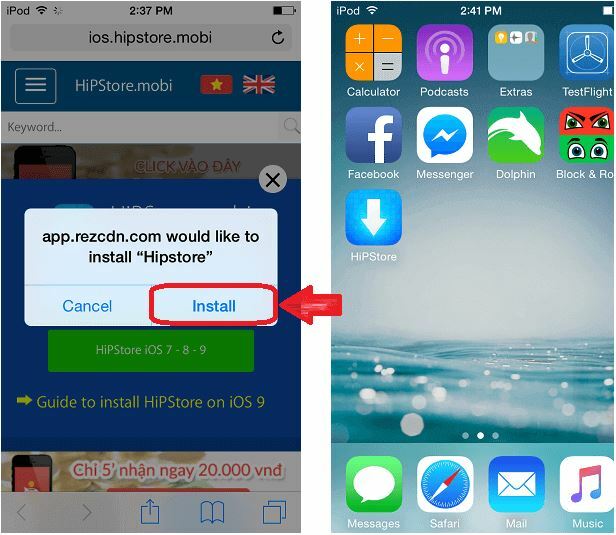 The below is a simple tutorial guides you how to install vShare and HiPStore on iOS 9.3 no jailbreak required, course the store also available for jailbroken device. Step#1 Download it from vShare offical site. Open the Safari mobile on your iPhone and iPad, just tap, search or manually enter the site url ‘vshare.com’ in the address bar and hit on enter. Once the site is fully loaded, then you’ll see two download options listed in the page. Now you can click the Download (unjailbroken) button to get vShare on your iPhone. Meanwhile, a prompt pops up, says “ssl-api-appvv.com would like to install vShare”, just click on Install. The the download completed, don’t open it yet since you will see the Untrusted App Developer error. Now that you’ve completely installed vShare on your iPhone or iPad. 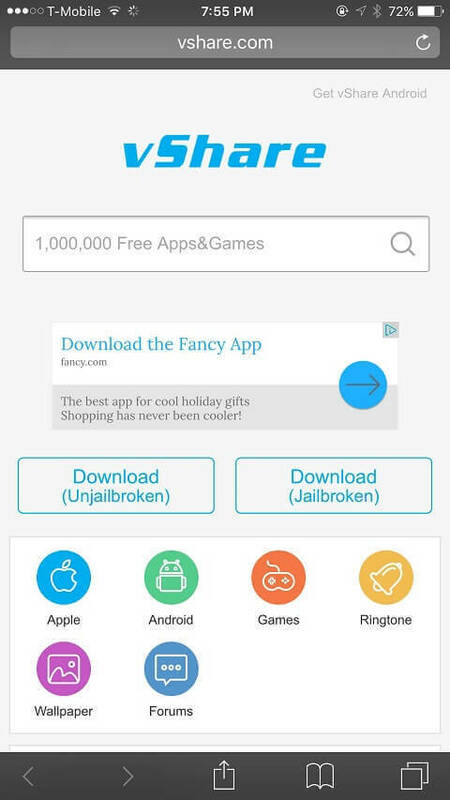 Go ahead and open it to download any paid apps and games you want for free. Step#1 Jailbreak your iPhone and iPad running on iOS 9.0- 9.1 using Pangu. Step#2 Go to Cydia Store on Home Screen. Step#5 Once the repo app is added, go to search and search for “Appsync” and download the latest version. Step#6 Once done, search for the latest version of vShare and install it. 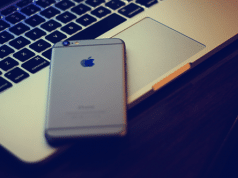 If you already installed AppSync iOS 9.1, then you can bypass the Step 1 – 5. If you’re getting a message that says ” Unable to download app: vShare” it means it could not be installed this time. Tap on Done wait for sometime. Because there might be lots of traffic in the server. If it shows the same error again, Un-install the app and Install it again. 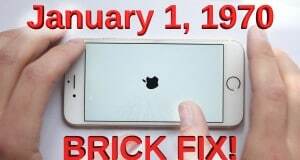 This is due to your iPhone not allow to install untrusted apps by default. Go to Settings > General > Profiles > Search for the iPhone profile name, here it is Guangdon Adl and search it in the search bar. If that doesn’t work, search for Fujian Zhengtong Electronic Technology.. Once you find them, press on Trust. IHiPStore, a well-known Installous alternative, developed by a Vietnamese team called Heaven iPhone has made a name for itself since the closing of Hackulous and Apptrackr. It also has the ability allows you to install paid apps for free on iOS 9.3 devices without jailbreaking. HiPStore is definitely the best alternative for vShare. Likes vShare installation, you just follow the similar steps to download and install IHiPStore. Step#1 Unlock your iOS device and open Safari browser. Once the app is done downloading, you can start using it. As previously mentioned, in some cases, users will not be able to open ApPStore on their iOS 9 devices. Specifically, an error like Untrusted Enterprise Developer notification will display. This is totally normally and can be fixed right away by going to Settings > General> Profile. Look for Unity Software One Member Company Limited and tap on Trust. Now go back to your home screen and launch HiPStore. Legal Disclaimer: Since vShare and HiPStore offer cracked apps download, which in itself is a piracy, Applelives does not advocate user doing so Course this is also a chance to pre-try those paid apps before purchase, that just like a trial process,. the sole purpose of this tutorial is to help iOS users try paid applications first and decided on purchasing it after from the original developer. If you are unable install paid & created apps for free through vShare or HiPStore, you can feel free to ask us via comments. And finally don’t forget to share this installation procedure through Facebook, Google+ and Twitter, thank you.